What’s the Stem Cells Buzz this Week? - Better Transplants, EPC-treatment for Stroke, Marking Quiescent LSCs, and TLR-microRNA Interplay in MSCs! 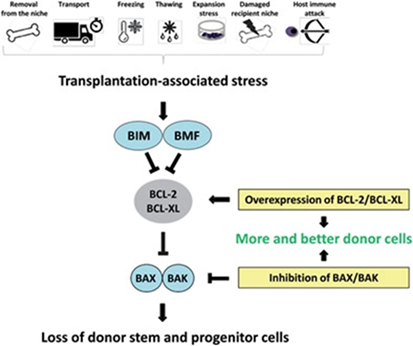 An intriguingly titled article from the lab of Miriam Erlacher (University Medical Center of Freiburg, Freiburg, Germany) discusses the circumstances that limit the success of transplantation as well as potential clinical approaches to attenuate donor stem cell death during hematopoietic stem cell transplantation (HSCT). Specifically, Afreen et al. discuss the role of anti-apoptotic BCL‐2 proteins in the context of factors that negatively affect donor hematopoietic stem and progenitor cell fitness and viability during HSCT and suggest approaches to improve graft quality and transplantation procedures with an emphasis on the inhibition of BCL‐2 regulated apoptosis. See STEM CELLS now for a fascinating read! While the transplantation of endothelial progenitor cells (EPCs) represents a safe and effective method for the treatment of cerebral ischemia in animal experiments, safety and efficacy in human patients still need to be determined. To this end, a two‐center, randomized, placebo‐controlled phase I/IIa trial with blinded outcome assessment on 18 patients with acute cerebral infarct within the middle cerebral artery territory with a four year follow up has now been reported in STEM CELLS Translational Medicine. 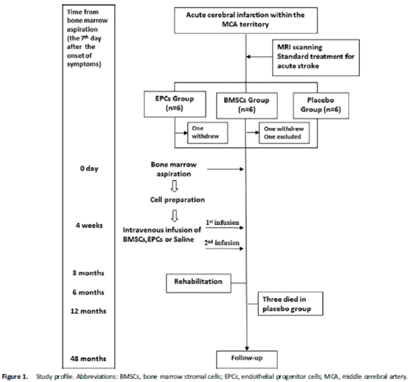 This new study, led by Zhenzhou Chen and Xiaodan Jiang (Southern Medical University, Guangzhou, PR China), establish long‐term safety, thereby supporting the feasibility of this novel method for treatment of ischemic stroke. One of the main challenges in limbal stem cell (LSC) biology and transplantation is the lack of definitive cell surface markers; however, a new study led by Majlinda Lako (Newcastle University, Newcastle upon Tyne, UK) now proposes CD200 as a novel LSC marker. Bojic et al. report that CD200 expression marks a quiescent population of LSCs with holoclone forming potential while CD109 expression marks a proliferative progenitor phenotype. The authors anticipate that these new findings, reported in STEM CELLS, will aid further advances in this field. 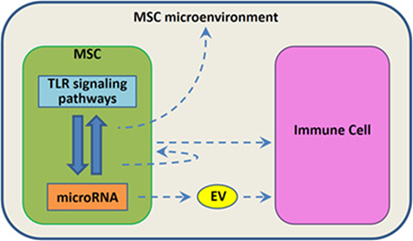 Finally, researchers from the lab of Armand Keating (University Health Network, Toronto, Canada) review how an miRNA‐Toll‐like receptor (TLR) pathway axis regulates the immunomodulatory functions of mesenchymal stem cells (MSCs), including their interactions with monocytes/macrophages and natural killer cells, and discuss the therapeutic implications for MSC‐based therapies. 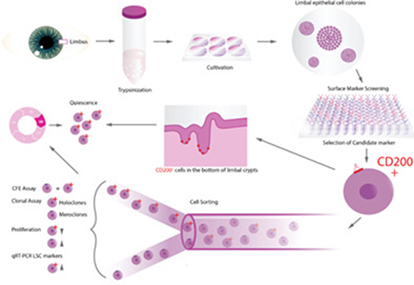 For all the details on a fascinating review article, head over to STEM CELLS right now!